As we have seen today during our investigation of Professor Jackson, things have gone downhill for him at the University of Mary Washington. Due to the amount of pressure and stress that Professor J. has been under, he has been forced to resign by the Dean of university. The professor has been receiving complaints from both his students and colleagues about his poor attitude, and will now be stepping down. Now that professor Jackson is gone, the university needs to fill his position. 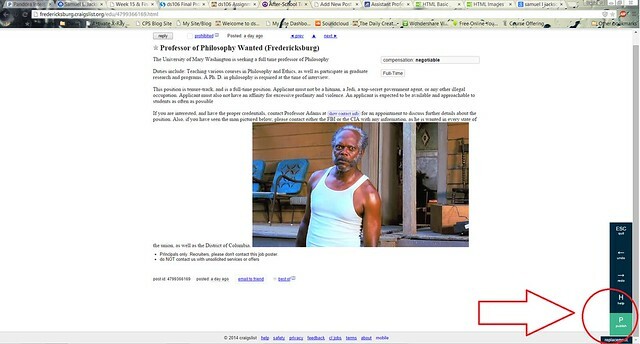 What better place to find a professor of philosophy than on Craig’s List? 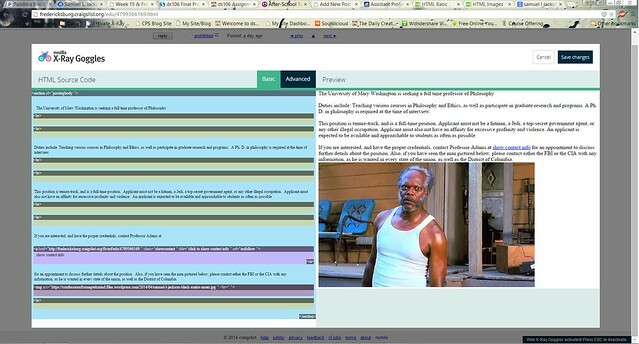 My inspiration for this assignment comes from a web assignment from several weeks back, Storytelling Within the Web. I already created an assignment for this web assignment back in week 9, so I was comfortable with the assignment already. 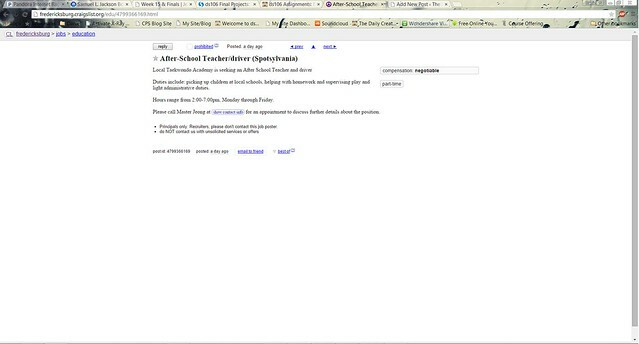 To keep things fresh though, I edited a Craig’s List page instead of an Amazon page like I did previously. With this ad as my template, I opened up the X-Ray Goggles app and began editing. I used an actual seeking-professor advertisement (not from Craig’s List!) that I found at random as a guide for the beginning of my advertisement. I included several references to films that Samuel L. Jackson was part of. 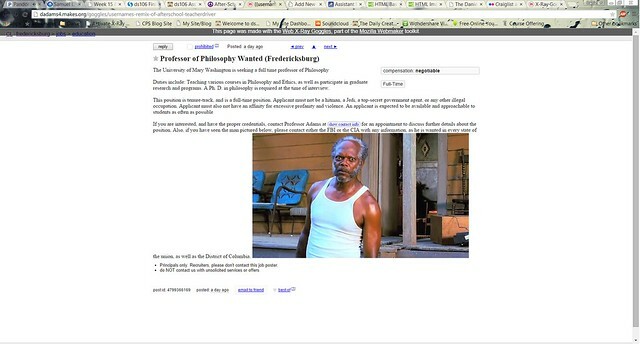 I also included a miniature wanted ad at the bottom of the Craig’s List post, implying that maybe what Professor Jackson did to lose his job was not so harmless. After I made all of my edits, I published the completed web page. Click here to see edited web page. I also included a screenshot below.